Former Vice President Al Gore kicked off his live 24-hour broadcast calling for solutions to man-made global warming Monday as waves of protests against the very types of policies Gore champions rocked major French cities. “A dramatic shift is underway, but it must be accelerated by new policies,” Gore said, pushing for policies to phase out fossil fuels and use more green energy. 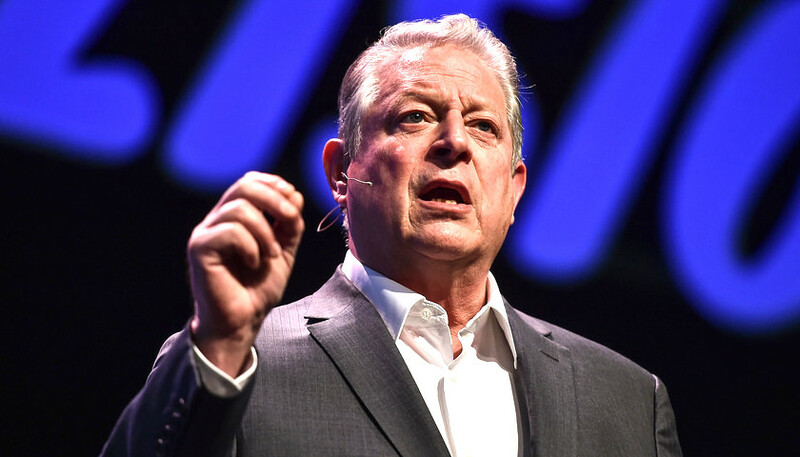 Gore noted this year’s 24-hour broadcast coincides with the United Nations climate summit in Poland, which is meant to further hash out the Paris climate accord agreed to at the 2015 conference. The theme of this year’s 24-hour broadcast is climate and health, Gore told the “Today Show” in an interview Tuesday. But Gore’s concern for the Paris accord comes as France delayed implementing global warming policies after violent protests broke out in the City of Lights and other major cities across the country. Tens of thousands of protesters wearing yellow vests took to the streets, clashing with police and lighting bonfires over planned fuel tax increases at the beginning of 2019. The fuel taxes are part of the French government’s carbon tax scheme to fight global warming. At least three protesters have been killed and more than one hundred injured since riots began in late November. French President Emmanuel Macron initially resisted calls to scrap the carbon tax increase, but his government announced a six month delay to the policy on Tuesday. The delay is seen as a victory for protesters outraged over the tax increase. The carbon tax was the spark that set off many protesters who already felt crushed under the burden of rising energy and housing costs. “It’s a first step, but we will not settle for a crumb,” Benjamin Cauchy, one of the protest leaders, told The Associated Press. Photo “Al Gore” by Collision Conf.